I think most, if not all, aviation safety managers would agree with me on this. Aviation safety data security is commonly under control of an SMS administrator, who may also be the director of safety. 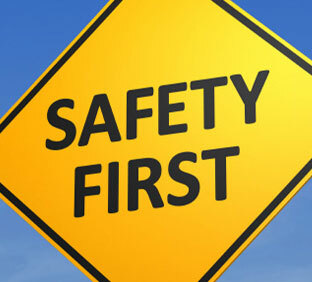 Safety managers are safety professional and are not data security professionals. The million dollar question is: "what is the best practice for organizing access to safety information?" How transparent should my organization be? But what exactly do we mean when we talk about transparency? The catchword here is relevant. Transparency does not mean everyone has access to all information – it means that if a piece of information affects an employee, he/she has a means of being aware of it. Period. Of course, there are certain practical considerations here, such as issues that require investigation, etc. With that in mind, what are some best practices for User Roles/Security set up to maintain data security in aviation SMS data management scenarios? Some of the roles described herein relate to SMS Pro's aviation SMS solution. Your software probably has something similar, so you adopt similar data security strategies. The first thing that should be done is to, initially, try and set up your security roles for different users as they function in real life. Before assigning any roles, consider and perhaps even map out an org chart of your company with a brief description of what each management personnel is responsible for in the SMS implementation. Organizational charts are useful for visualizing the layout and workflow of safety information within an organization. Note that one Safety Manager may also have the Admin role if he/she is in charge of maintaining the SMS database configuration. An Administrator can also assign SMS-Executive roles depending on a larger organization’s more complicated organizational structure, such as the head of HR, CEO, and CFO, as may all likely have vested interests in the aviation SMS. In this case, as well, an executive may be given a department head role if he/she performs such in real life. SMS auditor role can be given to an individual(s) in the organization for internal use, but are often temporarily reserved and assigned to external users, such as regulatory auditors. Some SMS database systems have separate roles for external as well as internal QA auditors. We can consider SMS users as being best suited for general employees. Some aviation SMS databases allow custom roles. Custom user roles are designed to control what safety issues users can/can not see. 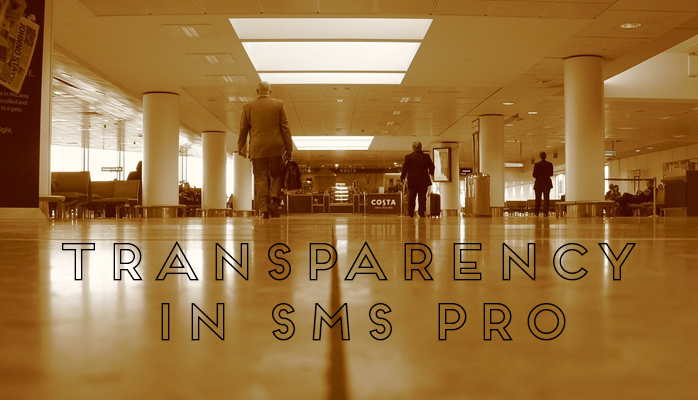 Again, configuring custom roles in an SMS database properly entails that you have a solid stance on what transparency means for your organization, as well as some common sense. What follows is an example of how one SMS database handles data security. Other programs may do something similar but in a different fashion. The ability of users to access and modify information from different divisions in the company is of primary concern to how much transparency an organization has. To give you peace of mind, general users can occasionally view reported safety concerns, but they never have the ability to modify SMS data records without being granted additional permissions. Do you want general SMS users to only be able to see issues that they have submitted (no "View" checks), only in their own division, or all divisions? Do you want safety managers/department heads to be notified of reported issues from other divisions? Do you want safety managers or department heads to be able to view issues from other divisions? Should SMS users be notified whenever an issue is reported in their division? Whom do you want to be notified when high-risk issues enter the risk management system from the safety reporting system? Should anyone else but the SMS admin user be able to delete issues? Management had no expectation of getting a return on investment. Safety cultures take time to mature. Moving away from historical attitudes toward the "safety program" will take at least another generation. Obviously, a balance between what is practical/ideal needs to be considered with your particular organization. When configuring aviation SMS software, there may be no "perfect setup" because there so many exceptions and use cases. This becomes more evident with more complex, but flatter operations. When you are configuring your SMS software, there are some settings, such as "SMS users receiving notification of reported safety issue from all divisions," are both unwise and impractical. Other things, such as only letting SMS users view their own reported safety issues (no checks on “View” column) clearly subscribes to a lower level of transparency, but may be prudent. Every security configuration check (or lack of check) should be carefully considered. A good rule of thumb for this question is to work from the highest level of access (SMS admin) to the lowest (SMS users). Also, remember that granting access down the road will look a lot better than restricting access later on, so perhaps a conservative approach to start is considered a best practice and smart idea. To see an aviation SMS software solution and its benefits in action, you may be interested in these demo videos. Have questions? Want to see SMS Pro live? Sign up for a demo. Published January 2016. Last updated February 2019.